Chelsea 5-1 Nottingham Forest - Nine changes and Chelsea still rout the visitors. 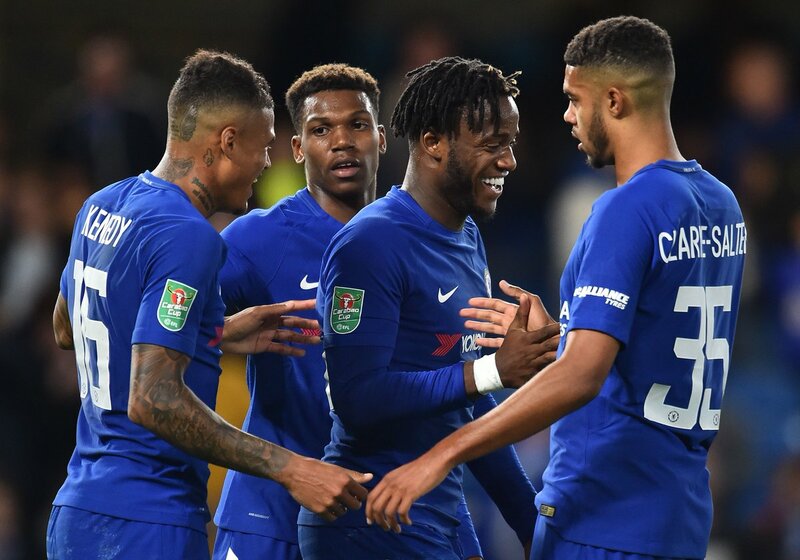 Chelsea beat Nottingham Forest 5-1 with goals from Kenedy, Musonda and a hat-trick from Batshuayi to set up a tie at home to Everton in the next round. Them: Captained by our old boy Michael Mancienne, but a number of changes for them - nine in total for their trip to London. Us: Half a dozen players got the night off. Full debut for Charly Musonda, a chance for Batshuayi to take a start by the scruff of the neck. Rudiger went into the back three with Cahill and Christensen. 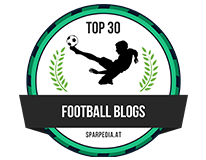 Kenedy - I know, I know, I forgot he existed too and Zappacosta took the wide berths. Fabregas and Bakayoko at the back of midfield and a start for Hazard as he works his way up to full fitness. Four minutes and Caballero made his first real save for Chelsea. Huzzah! Then he promptly almost got himself in the sh*t. I thought they came out with something about them, they were definitely not going to do a Pulis; Real or Chequebook. Worrall denied Musonda slipping all the way through to goal. Well worked by the fringe man, but a solid tackle. They had their early chances too - Rudiger had to be awake to put a stop to one run but Batushuayi poked an effort wide to round off the opening ten. We didn’t have to wait long for our first goal though - two minutes later Musonda was at the heart of things again. Up the pitch it went and Kenedy was right where he needed to be for Rudiger to do his best impression of Dave out wide playing in the ball. Pinpoint accurate from the defender and Chelsea’s forgotten man takes advantage to put us ahead. 18 minutes gone and we had another. No dicking about from Batshuayi tonight. Made the most of Forest’s inability to close down Hazard. He chipped the ball through the defence and it came slightly off a defender’s leg to set it up for his compatriot. Poor Forest hadn’t actually done that much wrong at this stage, but the tie was already running away from them and their fans looked a little glum. Things were not about to get better for them either. They might have looked even worse had Zappacosta not had a goal disallowed on 24 minutes when the flag went up. Fabregas was ludicrously lucky not to get booked shortly afterwards for conceding a free kick on the edge of the box. Run away little Spanish man before the referee changes his mind. Crossbar for Forest, perhaps a bit too close to try and go up and over. Kenedy could have had another on the half hour. Great strike from distance but just off target. By this point Forest looked to be running out of steam after their sharp start. On 39 minutes the game was out of reach. Musonda absolutely deserved to get his name on the scoresheet. Endless time and space, through the Keeper’s arms. Best player on the pitch this half. Did he cry? We were waxing lyrical about how thrilled Zappacosta looked just to be playing for Chelsea against Qarabag. I get the same vibe off of Alonso and now Charly too. We like him. Straight after the break Forest could have scored with three quick efforts, if not for Rudiger making consecutive saves. Moments later Hazard had cracked one off the inside of the post though, and then it was as you were. Musonda resumed his swagger straight away, but it was Hazard again who waltzed in on 53 minutes, left the Keeper on his a*se and then promptly set it up for Michy to claim the glory and take his second. Batman, you owe him a drink. Or five. 4-0. 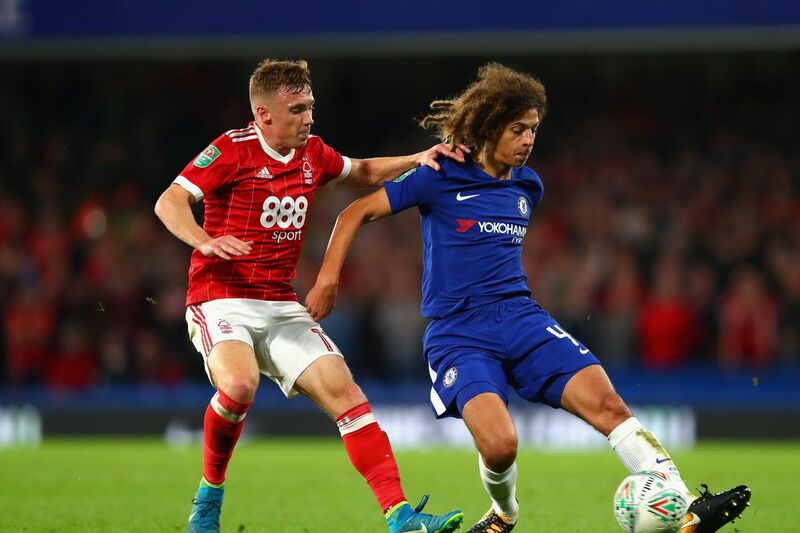 55 minutes and Conte relieved Forest of Fabregas’s nightmare (for them) presence and on came newly 17 year old Ethan Ampadu with a terrifying hairdo in a like for like change. He promptly started bossing Bakayoko about, which I liked. And then he destroyed a Forest player with his first tackle. Which I liked even more. What I don’t like is that he was born IN THE YEAR 2000! F*ck I feel old. On the hour Forest fans were screaming for a penalty, but nothing doing. The match had wound down so that it looked like a training game. Those in Blue had just resorted to showing off. Clarke-Salter came on for Christensen with twenty to go and Dujon Sterling got his debut when he came on for Zappacosta with a quarter of an hour to go. 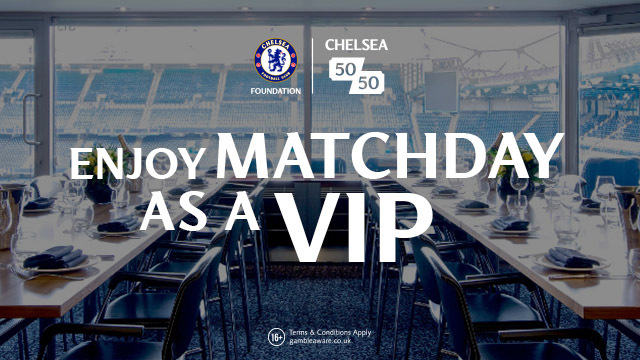 Chelsea’s Academy players all over the pitch. The Red Swarm won’t mention that. Michy could have had a third and the match ball, had been able to head a football properly, but that wasn’t to be. In fact, when he did get his third, he didn’t even know what was happening. Another outstanding ball from Rudiger to Kenedy who hit the the bar before it bounced in off Michy. Very bored Forest fans singing “Where were you when you were sh*t?” Chelsea response? “You’re not famous anymore.” They were still better than Everton, to be fair to them. They at least looked like they wanted to be there, and the 4000 travelling fans got a consolation with a last minute goal. So: That’s how you do a cup tie, Klopp. A night for some of the fringe players and for some of the new signings to settle down a bit further. No Chelsea drama, no squeaky bums, could have been a fourth clean sheet in a row had we not gone to sleep. Forest came to have a go and we got to work. Took them apart in fact. Ninety minutes for Hazard. Boom. Not a lot asked of Caballero but no drama. Musonda: I love this kid. He never stops the ball. He’s always got it on the move. He’s only weeny but I lost count of the times tonight that the only answer Forest had was to foul him. Slippery is the best word I think. He and Hazard just worked together. First opportunity from Conte. Smashed it. Others struggle to do this. I had a right old moan on the Fancast (I think, but I was hungover so I can’t be sure, it might just have been in my head) about not seeing a progression with Batshuayi. Tonight I have to be nicer to him. I saw him trying much harder to make runs off the ball in the first half that weren’t just random ambling about. His movement looked more assured and like he had a plan. But he still needs to be a bigger b*stard and when you look at the impact Musonda has just made in one start, you have to consider all the wasted opportunities that have come the Belgian’s way. Is he just not going to cut it? Or is he just more in the Drogba-slow-burner mould? Or should we just give him a break because even if he’s done bugger all else, he’s scored the most hapless hatrick in history tonight and even if he isn't going to challenge Morata, when we are playing him, he is just about getting the job done? He’s a conundrum. Would I want to see him replace an injured first choice striker in a massive game? Probably not, but then… West Brom. Won us the title. Urgh my head hurts. I give up. Predictably everyone was shouting shoooooooooot every time Zappacosta got the ball. Not quite the highlight-hogging heights of last week in the Champions League, but a good game. Every time I see Christensen play he just exudes class so far. I do wonder how he’d manage against an Aguero or a Costa - i.e. an a*sehole of a centre forward. Not so Rudiger, for me he looks like he’s been here forever already. Either way, our centre-backs are giving the manager plenty to think about. For obvious reasons Kenedy is a bit of a laughing stock at the moment. But I thought he did well tonight. He’s still got a long way to go to atone for not having done much but p*ss off China in the last year in my book though. We have the joy of Stoke to look forward to on Saturday. It's cold, windy, mean, usually boring and there will be a fair chance someone’s leg will get snapped in half. Don’t know about you but I can’t wait to head up there for that one. Check out Alex's fantastic Blog for more HERE.